I made these Summon Pillar Candles for my own personal ritual use – but I loved their magic so much, I decided to share it with all of you! These candles are infused with my Summon oil, which is a gorgeous and potent combination of Hither, Alchemist, Muse, and Elder Council. On their own, and even more so as one combined force, these blends invoke SERIOUS magic. 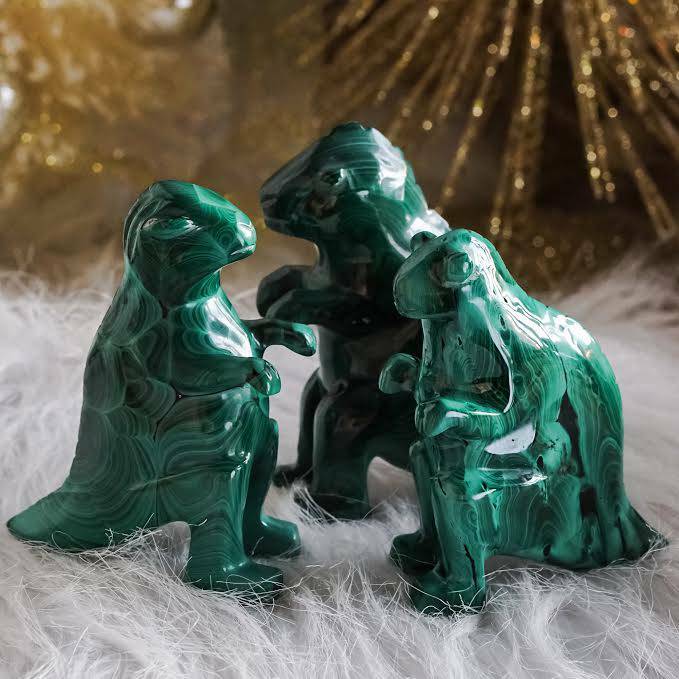 They work symbiotically within these candles to attract, clear, and inspire – and to give you clarity on what it is you seek. You see, these candles were made with love and intention. Right here at SG Headquarters, in fact. First, the sheets of blue and black beeswax are anointed with my oils, and then hand-rolled with intention and gemstones; this brings in the layer of color magic and intention. 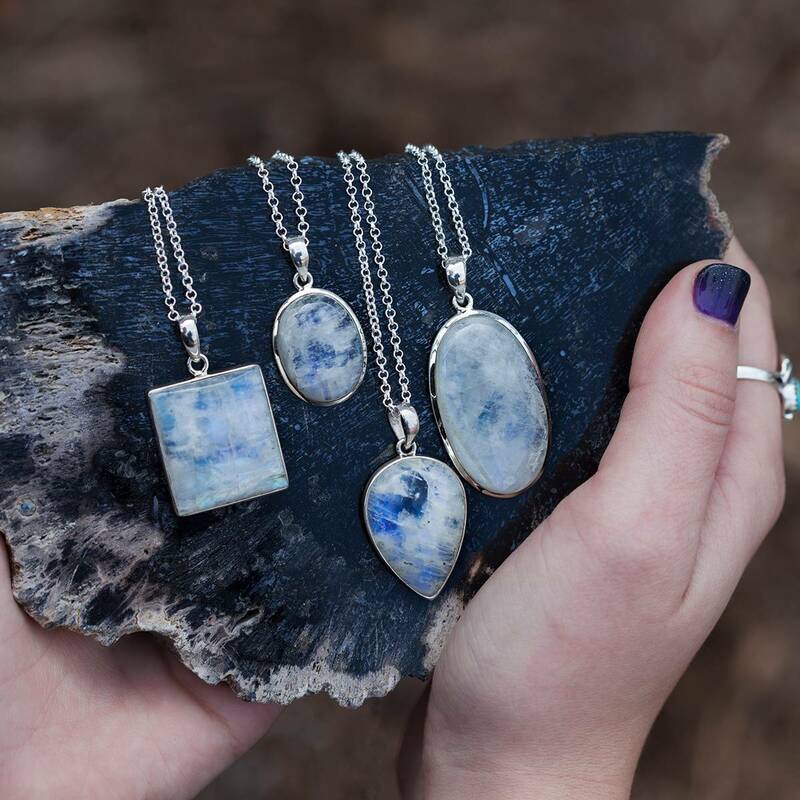 I then infuse each one with peacock ore and magnesite stones, for added gemstone magic and attraction power. 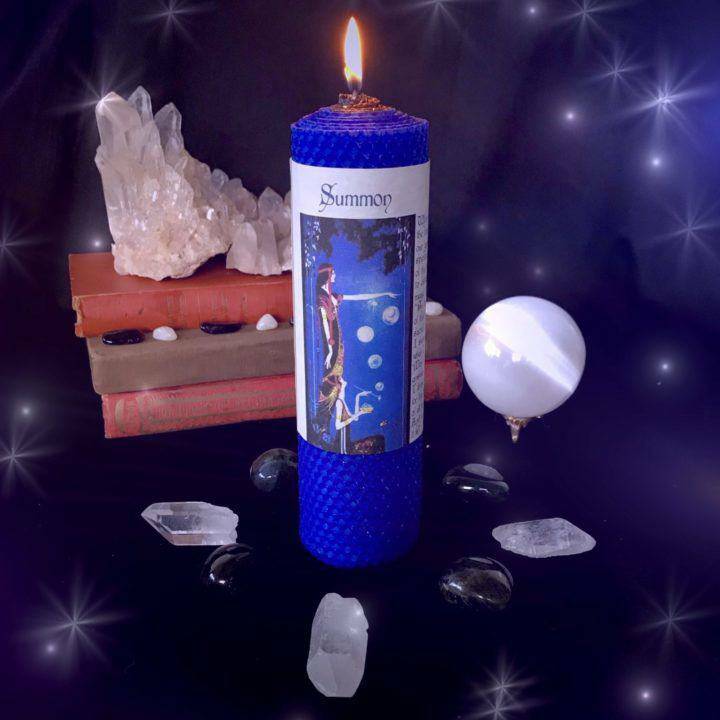 You can align your candle with the energy of the moon at any time. Light it as you work your attraction magic for what you seek. Each one is adorned with original SG artwork and a summoning invocation you can speak aloud before lighting. 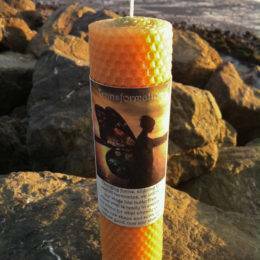 These pillar candles are infused with sacred intention and charged with attraction energy before shipping. Be careful what you wish for, as you WILL attract it with these candles. This magic is real. Use your candle at any time of the month. First, open your circle, then place your candle on your attraction or manifestation altar. Next, speak your invocation aloud, and then light your candle. Finally, meditate on the flames for a few moments. And most of all, let your intuition guide you as you work with this candle. It will never leave you astray. This listing is for one (1) Summon Pillar Candle (about 8”). Yours will arrive lovingly parceled for your enjoyment and delight. Just wow.. I used this with positive intent. It took 7 days of meditation, but it definitely delivered gradually over the course of a few weeks. Would recommend for anyone. I followed Athena’s instructions and I did receive what I Summoned. I am thankful for such a powerful tool ! Some serious magic, i’ve seen that we’ve used the word SERIOUS before, but seriously. such strong and potent magic! I adore SG candles in general, and this one doesn’t disappoint. The candle itself is gorgeous, and the Summon blend smells divine. Beyond that, the magic is SERIOUS. Summon is intended to draw what you desire, and it has worked for me personally. The craftsmanship and beauty is unmatched. I love SG candles but this one is magically beautiful. It’s energy is very magical. Make sure you use these energies ethically and always use a similar phrase “for the highest good of all”. You usually get what you wish for when working with summon and hither products. Beautiful label too! I love this candle!